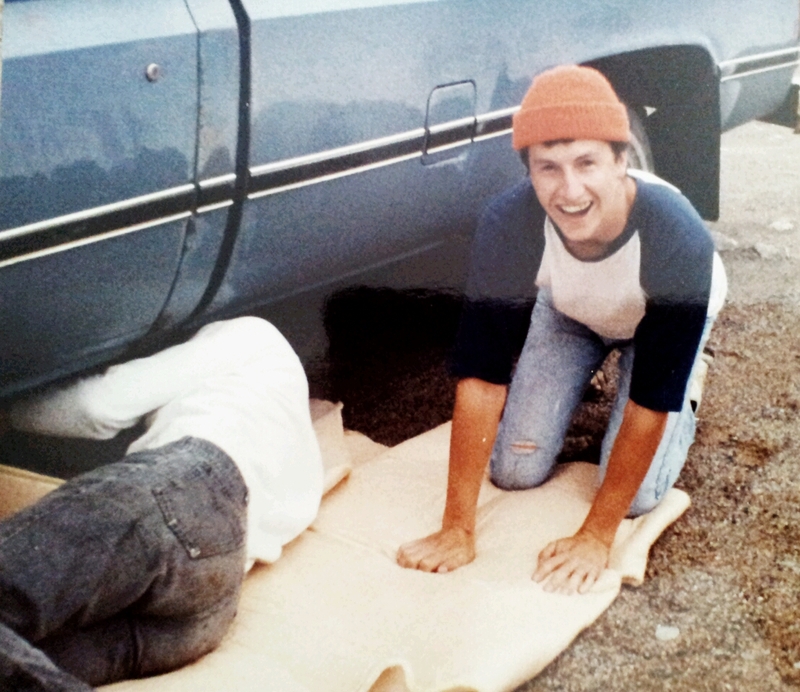 Me trying to wire up the muffler, Rod about to… who knows? I remembered it saying Taxidermy, but not quite. Same effect though! One dark night, early in the morning, 3 hungover lads got up to hunt…. Well that’s not quite the way the old rhyme goes, but my version suits the story more. 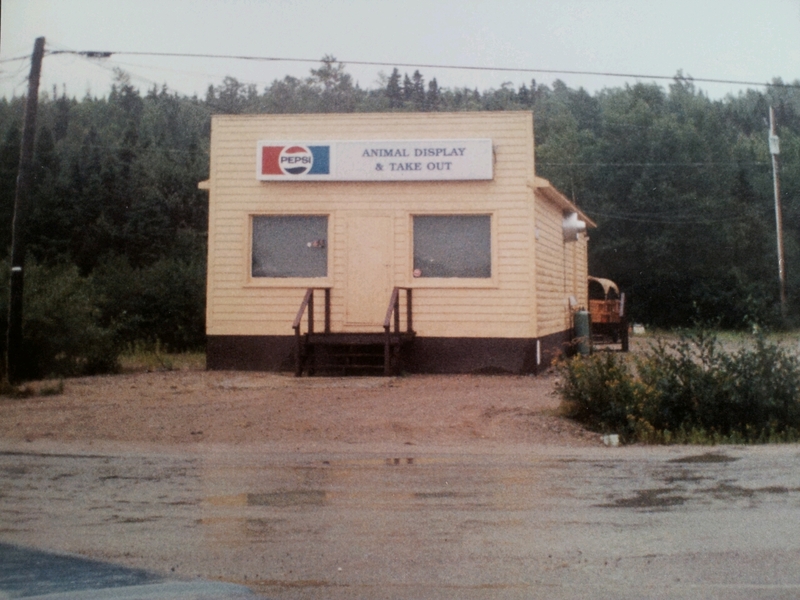 In the fall of 1995, I had a caribou license for up in back of Terra Nova/Gambo area. Myself and Eric had decided we were going to go hunting over the weekend, but like young gaffers do, we had been to a bonfire the night before till late. I did manage to get myself home for a few hours sleep, I can’t say if Eric did or not. 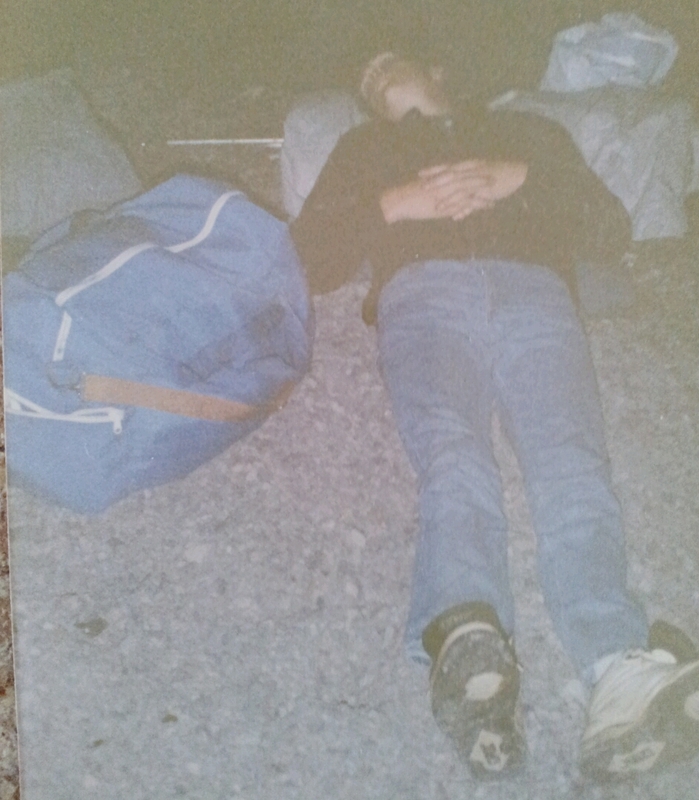 But I know the third member of our expedition did sleep, even if only for a little. I know this because when I drove up to pick up Eric at about half past 3 or 4 o’clock, all I could see were feet laying on the edge of the pavement. 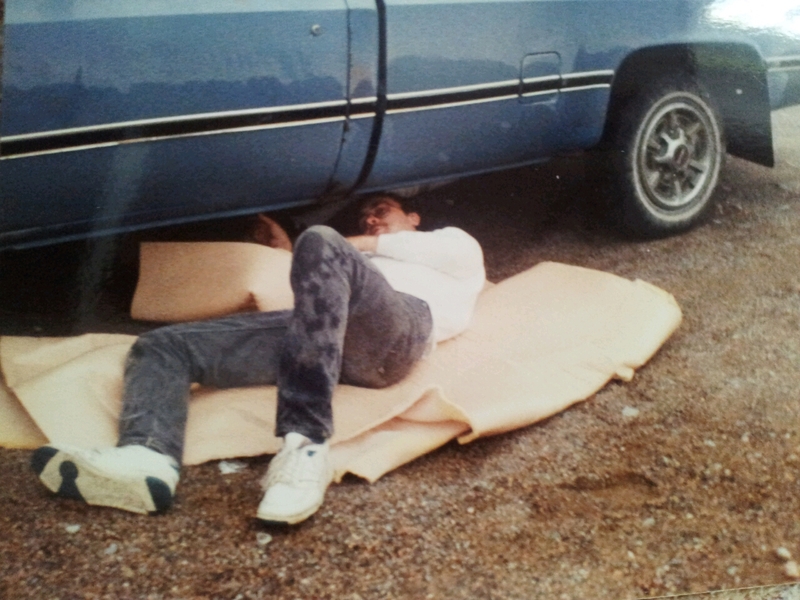 At first I thought it was Eric, but nope, it was Rod in all his glory sprawled out on the ground. I know he did it for devilment, but if he tries to say he didn’t at least pass out for a little while he shootin something, and its not caribou! With that the trio was formed, and off we went. 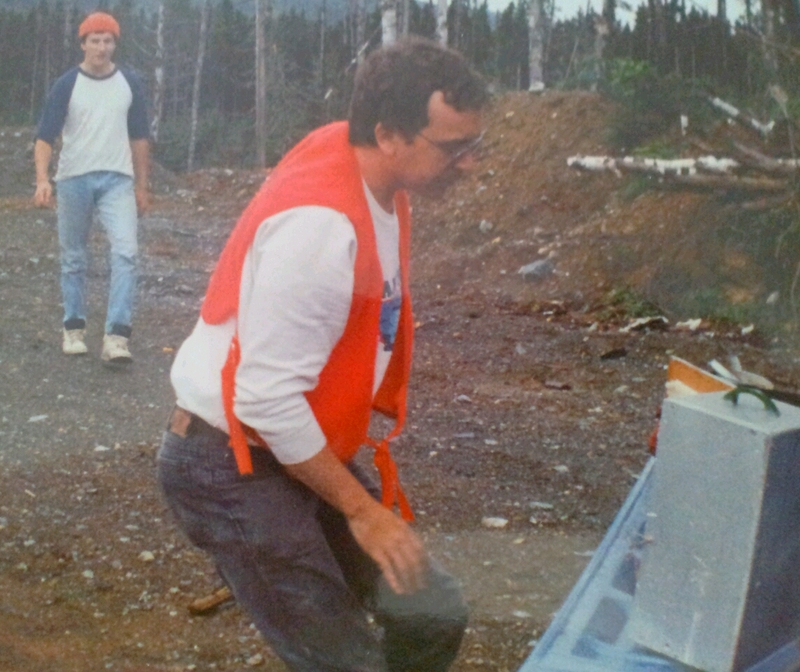 We drove my dad’s old GM Sierra pickup first up to Terra Nova area. Not being familiar with the area, we really just drove around the back roads. At some point Rod had to make use of a tree, and for whatever reason also changed his jeans. This latter point will relate to the story, but you gotta stay patient! We decided to give up on the Terra Nova area, and instead made for what we, at least, called Mint Brook road. This is off the highway near Gambo, and goes winding all over the back country. I believe it can even take you down to the south coast if you know the way. Anyway we drove and drove, till according to the truck odometer we weer about 65 miles up in the woods. And of course what should happen? Well the exhaust let go on the truck. Luckily we had some old wire in the back, and we stopped and got it wired up somehow. I know there’s a picture somewhere of me laying under the truck doing it. Good to go once again, at some point we pulled off for a lunch. And what should we see, 65 miles up in the woods, but crab legs! Yes somehow, whether by birds, or people having a meal, there were old crab leg shells in a turnaround. Being frustrated with the lack of caribou, I know we took a picture of Rod pretending to shoot them. I seem to remember seeing one caribou way off, but maybe that was on a different trip, because I also seem to remember us not seeing anything alive except a beaver, and then debating whether we should shoot it! If we thought we could get it out and that it was fit to eat, we probably would have. Giving up on the hunting, we drove back out of the woods, and made an excursion to Glovertown. I am not certain, but I believe it was somewhere near here we saw a “Taxidermy and Take-Out”. I kid you not. We decided against trying the take-out, figuring since it was also a taxidermy, we weren’t sure we’d want to eat what they were cooking. At some point during our many wanderings, Rod thought for some reason he had left his other jeans back near Terra Nova. He kept telling me to “git” back there to pick them up. That and him jabbing his finger in the direction of the road had me in tears laughing. 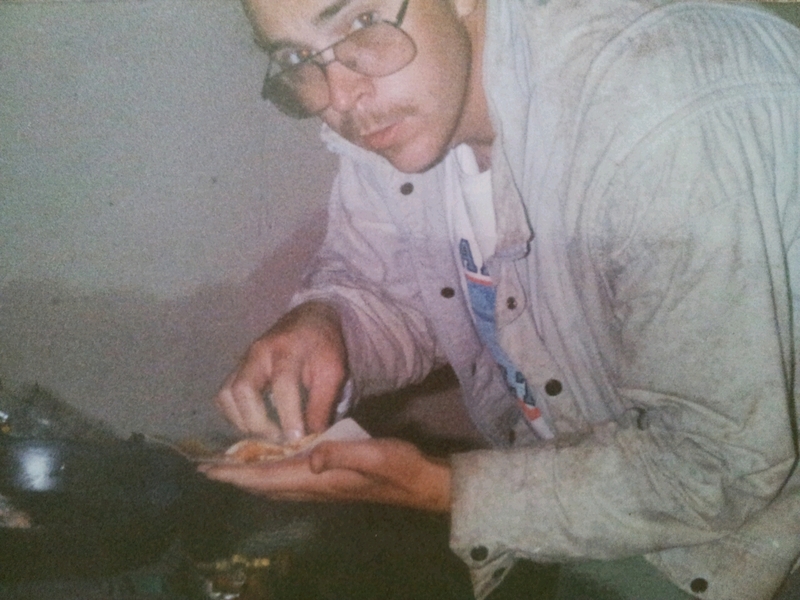 (not to be confused with the tears shed from, well lets just say the gas from too many beer the night before). I know we were going around for weeks after saying “Git!” It still brings a laugh to me now. haha…..yeah that was a good and we had lots of laughs. I think the box you are referring to is actually our old little smoker…..little chief! You shoulda shot the braver. Believe it or not, it makes for a great meal. And so does muskrat, by the way. Wouldn’t turn it down if I were hungry, that’s for sure. Was tempted for sure! Dad used to say they were good! Sorry, never saw your comment till now. Usually get an email, but the email thing was broken.